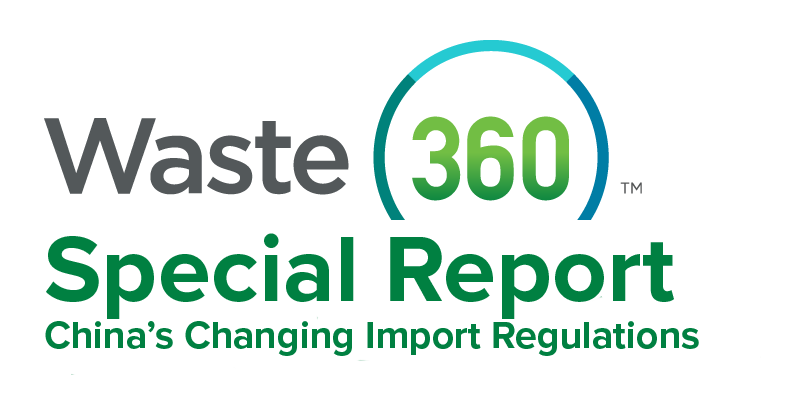 In response to China’s recently enacted waste import ban, contamination standard and one-month suspension on all U.S. scrap imports, the National Recycling Coalition (NRC) is calling for the U.S. to improve its poor recycling efforts. In a press release, NRC explained that the recent moves from China have shined a light on the United States’ poor recycling efforts and that citizens can no longer pretend that waste diversion is recycling. Materials recovery facilities (MRFs) are capable of producing high-quality materials from both single stream and dual stream systems; however, contamination and non-recyclables entering those waste streams make it challenging to produce those high-quality materials. Part of the reason why these challenges remain a problem is because there is confusion at the bin. Residents may be unsure about what can and cannot be recycled, and cities and companies don’t all accept the same materials for recycling. This confusion often leads to “wishful recycling” from residents and business that want to do the right thing, but this concept actually hurts the economy and environment more than anything because it can mix a dirty product in with a clean, recyclable product, resulting in contamination. To overcome confusion at the bin, Recycle Across America, a nonprofit dedicated to expediting environmental progress and helping people understand the importance of recycling, is pushing for society-wide standardized labels on recycling bins. In addition, NRC says the industry must shift how it speaks to the public, how it collects and processes recyclables and what end markets accept and utilize to truly recycle. To make these efforts a reality, NRC is calling for every aspect of the industry to work together, and it’s working through collaboratives, its series of Market Development Workshops and Quarterly Market Calls to take the necessary steps to turn recycling into an industry with quality products.